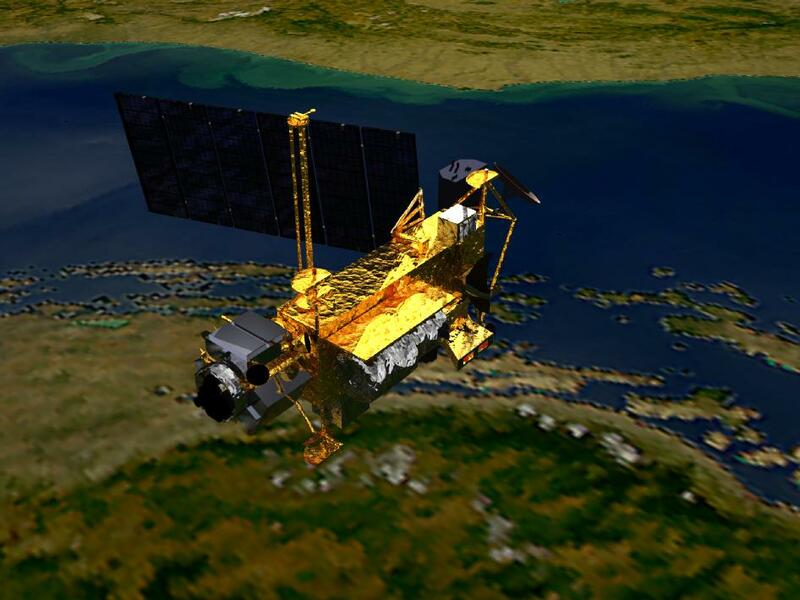 Artist’s conception of NASA Upper Atmosphere Research Satellite (UARS) (Credits: NASA). Source Michael Listner on Space Review: The year 2011 will be remembered for a lot of things in the space field, but the topic of orbital space debris will likely be a significant one. The events highlighting the dangers orbital space debris include several close encounters with the International Space Station (ISS) from China’s 2007 direct-ascent test in April, June and most recently in October. Additionally, on July 11, 2011 the ISS had a close brush with orbital space debris from the Soviet-era Cosmos 375, which was a satellite in a series of development tests that ran from 1967 to 1971 that led to the deployment of the Istrebitel Sputnik satellite system through the 1970s and early 1980s.1 In all instances, either the orbital space debris was determined not to pose a threat to the ISS, or the ISS was maneuvered to prevent a collision. While these incidents have highlighted the issue of orbital space orbital space debris, it was the reentry of NASA’s Upper Atmosphere Research Satellite (UARS) on September 24, 2011, that garnered wide public attention. Up to twenty-six pieces of UARS was expected to survive reentry, but fortunately any surviving pieces of the spacecraft likely crashed in the Pacific Ocean long before reaching the North American west coast. The german ROSAT space telescope (Credits: PD-USGov-NASA). This author postulated recently that the reentry of the UARS spacecraft could implicate international space law in particular the Liability Convention of 1972 if orbital space debris from the spacecraft fell in a populated area and caused injury to person or property (see “UARS: A potential opportunity to bolster international space law”, The Space Review, September 19, 2011). As the noted above, any orbital space debris from UARS crashed harmlessly into the Pacific Ocean, but the impending reentry of ROSAT presents another potential situation where the Liability Convention could be invoked should debris from the satellite cause injury to person or property upon the surface of the earth. As remarked in the previous essay, The Liability Convention of 1972 expands upon the principles of liability for damage caused by space objects introduced in Article VII of the Outer Space Treaty of 1967. There are two scenarios where damage could be caused by a space object. The first scenario envisions a space object that causes damage to the surface of the Earth or an aircraft in flight, and the second scenario deals with an event where a space object causes damage someplace other than the surface of the Earth, i.e. a space object, outer space, or another celestial body. Each scenario of the Liability Convention has a different standard of liability. The first scenario applies a strict liability standard whereby a state is considered strictly liable for any damage caused by a space object launched even in the face of circumstances that are outside a its control. Under this standard, if more than one state is responsible for the launch of the space object in question then that state will be held joint and severally liable for any damage caused. The first scenario of the Liability Convention was invoked by Canada through diplomatic channels after the reentry and subsequent crash of the RORSAT Cosmos 954 on January 24, 1978 in the northwest territory of Canada and led to a settlement for the costs of the cleanup and damages. The standard of liability applied under the second scenario is a more arduous one in that it applies a fault liability standard whereby a state will be considered liable only if it can be shown that the damage caused was due to the fault of the state or states responsible for the launch of the space object as the case may be. To date, there have been no instances where the second scenario of the Liability Convention have been applied. Since ROSAT is in a decaying orbit it is plausible that any damage to person or property from fragments surviving reentry would occur either through striking an aircraft as ROSAT descends through the atmosphere or through its impact with persons or property upon the surface of the earth. If that is the case, like the analysis of the UARS reentry, the first scenario of the Liability Convention would apply making the launching State strictly liable for any damage to persons or property. 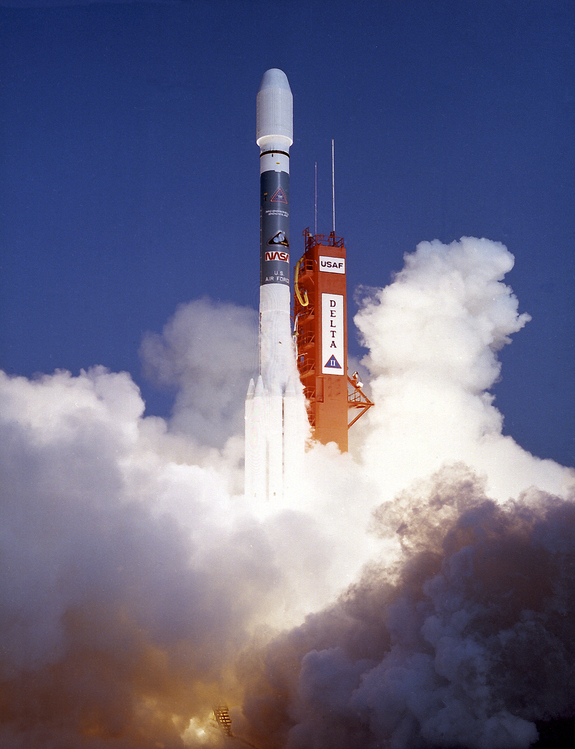 Launch of ROSAT on top of a Mcdonnell Douglas Delta II on June 1, 1990 (Credits: NASA). An examination of the Registry of Space Objects maintained by the United Nations Office of Outer Space Affairs in Vienna shows that ROSAT was registered per the Registration Convention, with the Federal Republic of Germany listed as the launching state.4 However, the Registration Convention incorporates by reference the Liability Convention, therefore the Liability Convention is the controlling authority to determine who would be considered the launching State for determining liability. The Liability Convention provides two tests to identify the launching state found in Article I. According to Article I the launching State is defined as a state that launches or procures the launching of a space object, and/or a state from whose territory or facility a space object has been launched. Under the first test of “launching state” Germany, through its space agency, appears to fit the definition since it was responsible for procuring and overseeing the launch by NASA and the United States. However, according to ROSAT’s entry in the Registry of Space Objects, ROSAT was launched from Cape Canaveral, Florida. Therefore under the second test of the definition of “launching state” the United States would be also be considered the “launching state”, making both Germany and the United States joint and severally liable for any damage caused by ROSAT’s reentry. Article V of the Liability Convention seems to bear this out further. Specifically, Article V(3) affirms that a state from whose territory or facility a space object is launched shall be regarded as a participant in a joint launching. Coupled with Article V(I), which affirms that whenever two or more states jointly launch a space object, they shall be jointly and severally liable for any damage caused, it would appear that both the United States and Germany would be held strictly liable in the event ROSAT’s reentry causes damage to person or property. Considering the potential liability for both Germany and the United States, it is likely that the issue of liability and indemnification or apportioning of liability would have been addressed in the agreement to launch ROSAT. Agreements apportioning liability are allowed by the Liability Convention under Article V(2), and given the possibility however remote that ROSAT would cause harm under either scenario it would have been prudent for both countries to address that possibility. Much attention has been given to the first scenario of the Liability Convention, and considering the experience of applying the Liability Convention to the Cosmos 954 incident, the first scenario can be considered vetted for purposes of future applications, including the potential implications of ROSAT’s reentry. The same cannot be said of the second scenario. 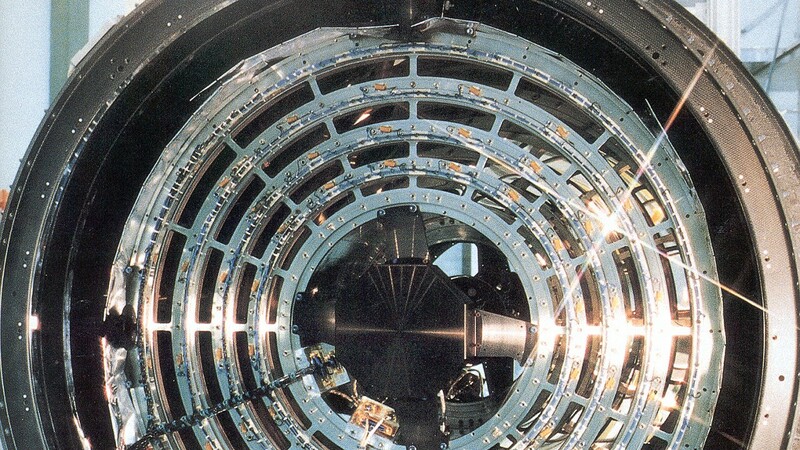 The ROSAT system of mirrors, composed by four nesting Wolter mirrors with a focal length of 2.4 meters.Each of the ring-shaped mirrors measures 50 centimeters in length, and the largest has a diameter of 84 centimeters – (Credits: MPE). Before delving into the complexities of the second scenario’s standard of liability, it is helpful to examine Article I(d) of the Liability Convention, which defines the term “space object” to “…include component parts of a space object as well as its launch vehicle and parts thereof.” By this definition, any component part or module of spacecraft or rocket body is considered a “space object” whether a component was ejected by a space object from an explosion or collision of space objects. Accordingly, a “space object” can be as large as an intact satellite or as small as a fragment or screw. 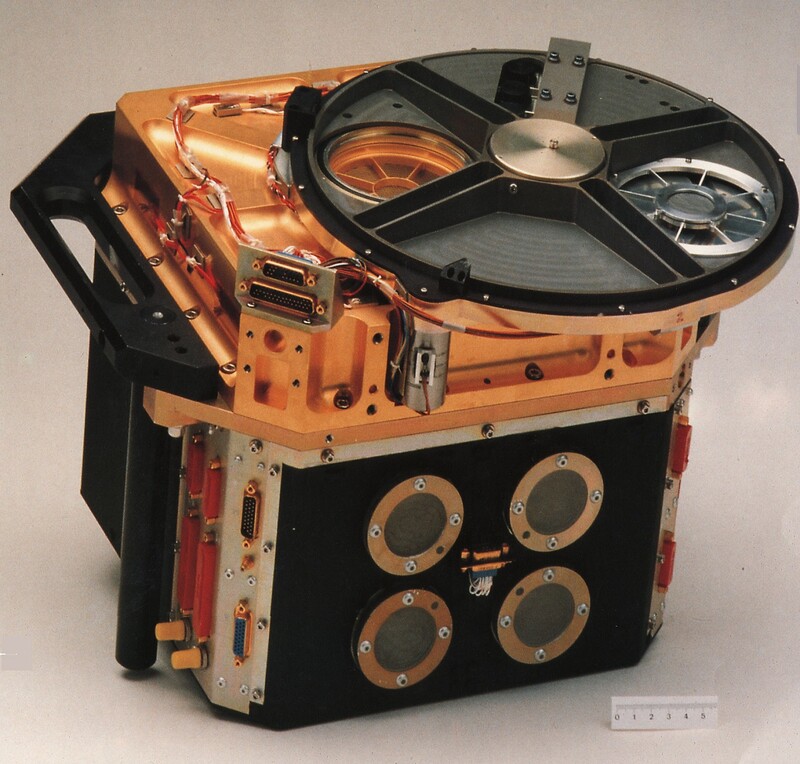 A prime example of this is the metrological satellite FY-1C, which was fragmented into thousands of pieces by the test of a direct-ascent ASAT in 2007. The international registration number of FY-1C found in the Registry of Space Objects is 1999/08Aa; however, when FY-1C was fragmented, each individual piece became a space object under the definition of the Liability Convention. A designation is given those space objects that can be tracked by the Joint Space Operations Center (JSPoC) as well as an international designation based on FY-1C’s record in the Registry of Space Objects. It is important to be aware that the launching state is responsible for each space object created by such an event and as well as additional space objects created by subsequent collisions. As explained earlier the standard of liability under the second scenario applies a fault liability standard whereby a state will be considered liable only if it can be shown that the damage caused was due to the fault of the state or states responsible for the launch of the space object, as the case may be. This theory of liability is similar to the maritime law standard of comparative fault, whereby the percentage of fault and thus liability will be apportioned according to the negligence of each party involved to the aggregate liability. Once the percentage of fault for each party is determined, the total amount of damages for the incident will be determined, and from that total each party will be apportioned its damages based on its percentage of fault. This standard is tricky and contentious enough in a maritime or terrestrial situation; however, applying the standard to incidents in outer space makes it even more so. For example, the 2009 collision between Iridium 33 and Cosmos 2251 over Siberia offered the potential for a case of first impression involving the second scenario of the Liability Convention, yet no claim for compensation has been filed by the owners of the satellite, Iridium LLC. There could be several reasons why a claim has not been made. First, the loss of the satellite may have been covered by Iridium’s insurance carrier. Iridium’s insurance on the satellite was for third-party damage, but even if the loss was covered by its insurance it is conceivable that its insurance carrier would want to pursue a subrogation claim. Reportedly, Iridium 33 was at the end of its useful life and the compensable value of the satellite may be less than the insurance carrier was willing to pay or otherwise seek subrogation to recoup its losses. A more plausible reason for Iridium LLC not pursuing a claim is that it may not be able to prove the standard of fault under the second scenario of the Liability Convention. For liability to apply Iridium LLC would have to show that the Russian Federation was at fault for the collision while at the same time diminishing its fault in the incident. The Russian Federation was quick to point out that Cosmos 2251 was a derelict satellite incapable of maneuvering, and it correctly asserted that it did not have an obligation under international law to dispose of Cosmos 2251 after it became derelict. The Russian Federation then placed fault for the incident on Iridium LLC failure to maneuver Iridium 33 so as to avoid a collision. Iridium LLC contends that it did not have any obligation to avoid the collision even if was aware that such a collision would occur. Considering the conflicting information and finger-pointing following the incident, allotting fault to the parties involved under the second scenario to determine compensation is complicated at best. A Proton rocket during liftoff (Credits: Roscosmos). To further obscure the analysis, Iridium 33 has no entry in the Register of Space Objects. 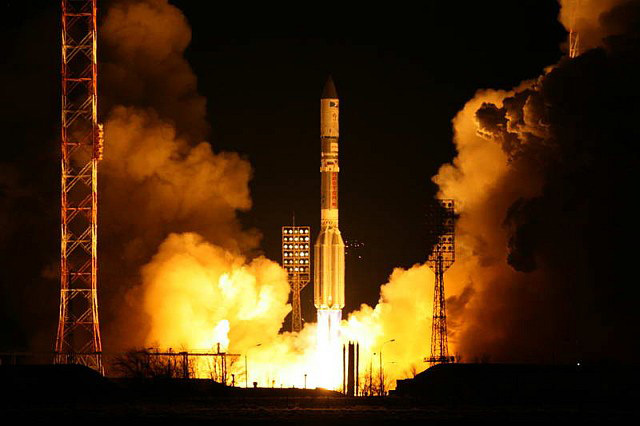 A filing by the Russian Federation notes the launch of seven Iridium satellites on a single Proton rocket from the Baikonur Cosmodrome, and that the satellites were owned and operated by the United States company Motorola through Iridium LLC. There is no listing of “launching state”; however, applying the definition of launching State under Article I of the Liability Convention would logically lead to the determination that the Russian Federation is the launching state of Iridium 33 thus making it liable for both Iridium 33 and Cosmos 2251. Therefore, unless the Russian Federation included a clause addressing the matter of liability, the Russian Federation (and/or the company that arranged for the launch on the Proton rocket) would be responsible under a claim filed under the Liability Convention. Conversely, liability under the fault standard of the second scenario could be less burdensome to prove from an incident arising between the aforementioned conjunction of the ISS and orbital space debris from the FY-1C ASAT test. If the unthinkable happened and a fragment from the FY-1C test struck a United States module on the ISS, for example, collection of evidence through tracking data and possession of the actual fragment would be key to determining the launching state and apportioning fault under the second scenario.5 However, under the fault standard of the second scenario, the United States would not only have to show that the launching state was negligent, but it would also have to prove that the operation of the ISS was not done in a negligent manner, i.e. were measures taken to maneuver the ISS that might have otherwise prevented the collision. 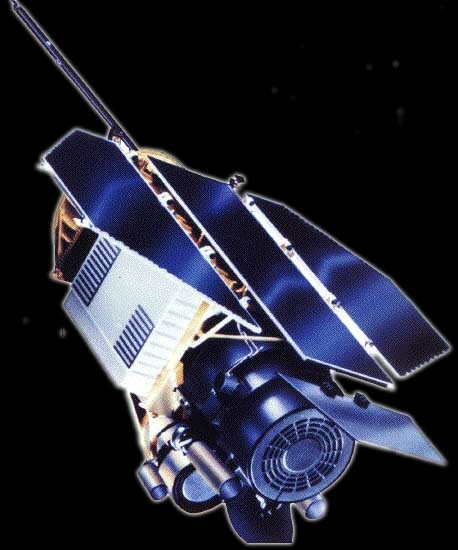 The ROSAT is equipped with two four-wire Position Sensitive Proportional Counters detectors (PSPC) – (Credits: MPERosat). As the proliferation of orbital space debris increases, the potential legal issues such as those surrounding UARS, ROSAT, FY-1C, and Iridium/Cosmos will increase as well. The Liability Convention is a well-intentioned document and, along with its brethren space law treaties that make up the body of international space law, forms a necessary backbone for the jurisprudence of outer space. However, it is apparent the complexities of international commerce and politics are overwhelming international space law in particular the area of orbital space debris and specifically the Liability Convention. There are proposals for multilateral treaties to supplement the current body of international space law and, in some cases, specifically address the issue of orbital space debris beyond the scope of the Liability Convention. Yet, any future proposals to supplement or supplant the current body of international space law will be met with the same challenges of interpretation and enforceability that the current treaties face. The key to the success of future proposals rests in addressing the deficiencies and reinforcing the veracity of the current body of international space law. Only with that solid foundation to build upon can future proposals hope to address the current problems presented by orbital space debris. Originally published on The Space Review on October 17, 2011. Reproduced with permission of the author and the editor. Michael Listner is an attorney and policy analyst with a focus on issues relating to space law and security. He is a Senior Contributor at DefensePolicy.Org and can be contacted at[email protected] or via Twitter @ponder68. From the same author you can read also UARS: A Potential Opportunity to Bolster International Space Law. 1 See Michael Listner, “Orbital space debris from Soviet ASAT could collide with ISS” and“Soviet ASAT orbital space debris will not threaten ISS”, Examiner.com, July 11, 2011. 2 Leonard David, “Falling German Satellite Poses 1-in-2,000 Risk of Striking Someone This Month”, SPACE.com, October 12, 2011. 3 Mark Wade, “ROSAT”, Encyclopedia Astronautica. 4 Information furnished in conformity with the Convention on Registration of Objects Launched into Outer Space, ST/SG/SER.E/396, 14 September 2001, p.2. 5 Under the International Space Station Agreement (IGA), each participating country retains jurisdiction over the modules it provides to make up the ISS. This allows each country to reserve the right to pursue individual claims under the Liability Convention. 6 Such a claim filed by Iridium, LLC would be filed in the Federal District Court for District of Columbia.